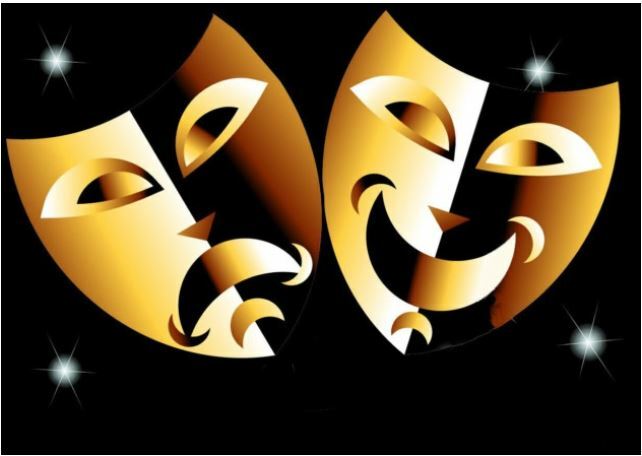 Shakespeare may be marvellous, BUT….! Another version of Shakespeare’s Richard…which means the same old, same old, of course. This one is slightly different in that the lead is played by a woman, Emily Carding. She may be truly excellent, I don’t know, but the usual humpy back, evil psychopath, crawling around the stage and so on is much in evidence. 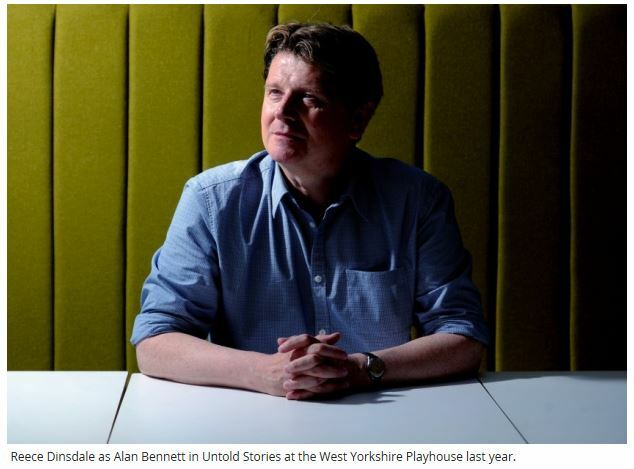 If you’re a fan of Shakespeare’s Richard III, you’ll probably find this of great interest. 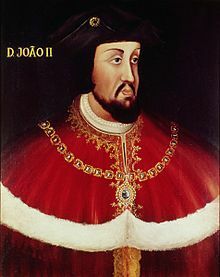 After Henry VI’s death in 1471, Henry IV’s legitimate line was extinct but his sister’s senior descendant was her grandson, Afonso V, King of Portugal (1432 r.1438-81). He was, therefore, the principal Lancastrian claimant to the English throne, although Edward IV had become Duke of Lancaster by then as a result of Henry IV merging that title with the Crown. 4) His cousin Manoel (later I), Duke of Beja. 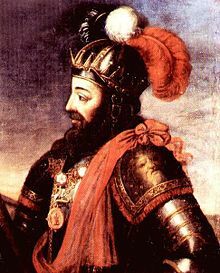 5) Phillip (“the Handsome”, later I) of Castile. 6) Margaret of Savoy, his sister. 7) Ralph, 3rd Earl of Westmorland. 8) Edmund, 1st Earl of Kent. 9) His son George Grey. 10) His grandson Richard Grey. 11) Isabella, Queen of Castile. 14) Her daughter Juana (“La Loca”). These people all precede any Beaufort, even when the “excepta dignitate regalis” clause of their legitimisation were ignored. So, if you were a diehard legitimist Lancastrian, let us introduce you to your missing “Kings of England”. Willow: How is it you always know this stuff? You always know what’s going on. I never know what’s going on. Giles: Well, you weren’t here from midnight until six researching it. 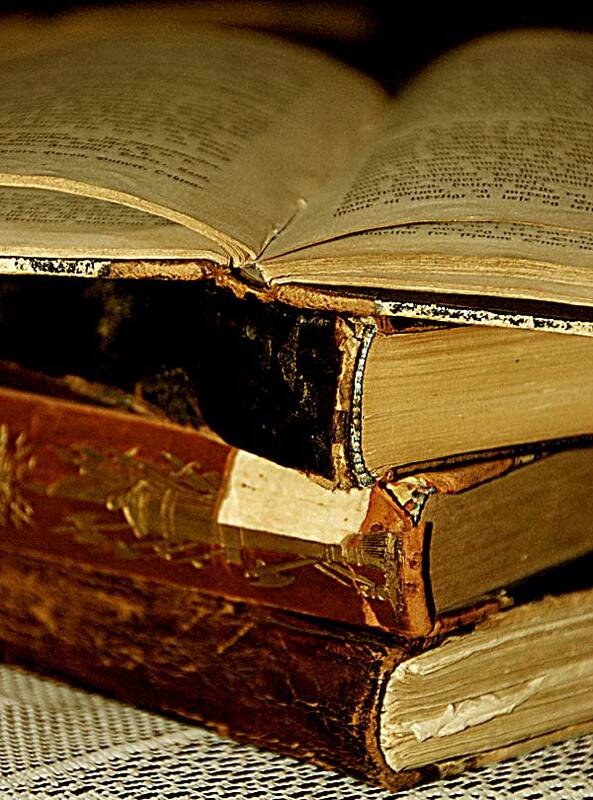 “Books of the Past” by Lin Kristensen from New Jersey, USA. Licensed under CC BY 2.0 via Wikimedia Commons. Bishop of Bath and Wells, Robert Stillington, is the man who informed Richard, Duke of Gloucester, of his brother Edward IV’s pre-marriage to Eleanor Butler in the spring of 1483. 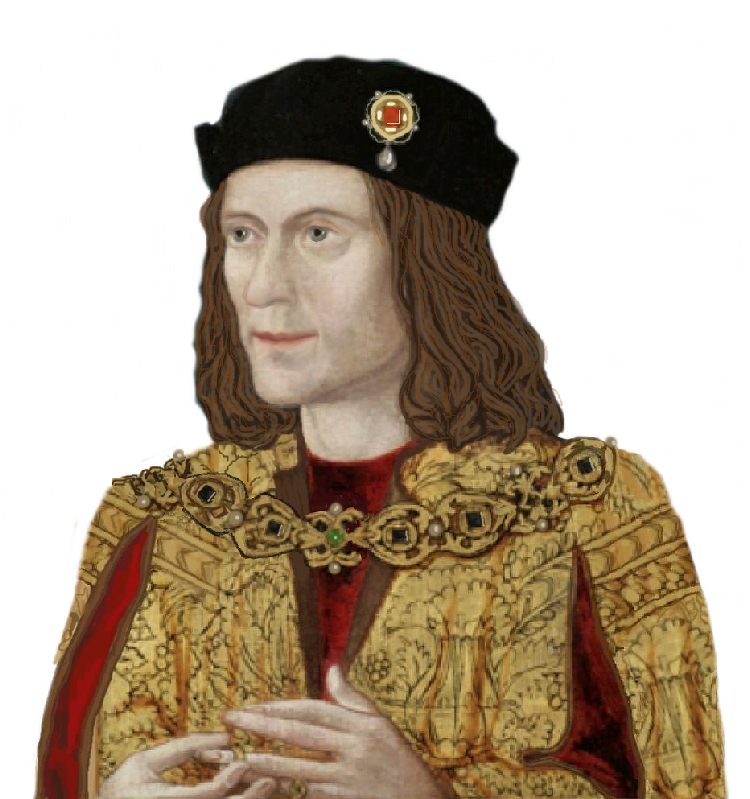 That revelation created a succession crisis which resulted in Edward IV’s children being declared illegitimate and the Three Estates offering Richard of Gloucester the throne of England. It’s been stated elsewhere that there is no evidence Richard ever rewarded Stillington for his revelation. 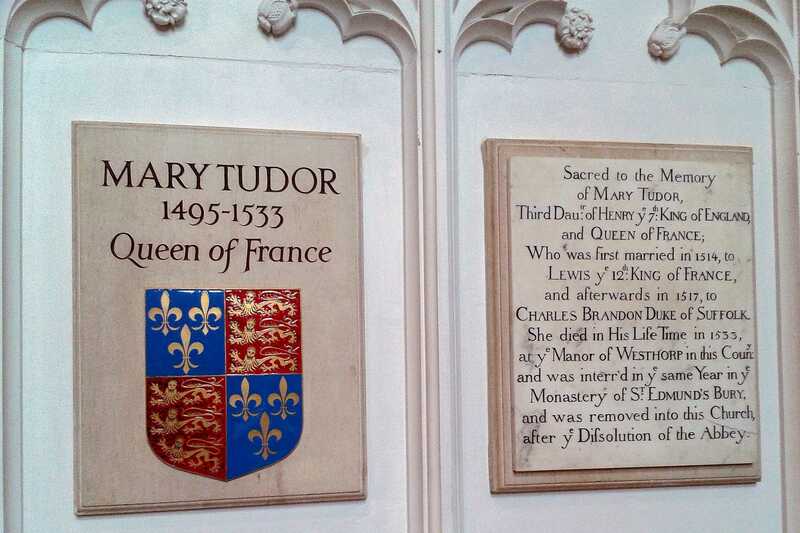 Recently, however, a handful of denialists have claimed that a charitable foundation connected to Stillington was supported by Richard after he became King, with the conclusion that this foundation was Richard’s reward to Stillington. Stillington granted lands previously belonging to his father, and some he had received through his mother, to the provost and fellows of St. Andrews Nethercastre. The demise of the land[iii] dates from 6 October 1482, six months before Edward IV died. Robert Stillington’s father, John, had been a wealthy merchant. Robert had also come into more land in 1468 through an inheritance entitlement of his mother. The Close Rolls entry indicates that Richard III was re-affirming Stillington’s land grant. The denialists are claiming that Richard [permitted? allowed? bribed?] Robert Stillington to reward himself with his parents’ land and give a portion of it to St. Andrews Nethercastre eight months before Stillington revealed the fact of Edward IV’s pre-contracted marriage. This claim is nothing more than an attempt to twist historical fact into an untruth that can then be used to vilify Richard. It is dependent upon no one bothering to research the accusation. 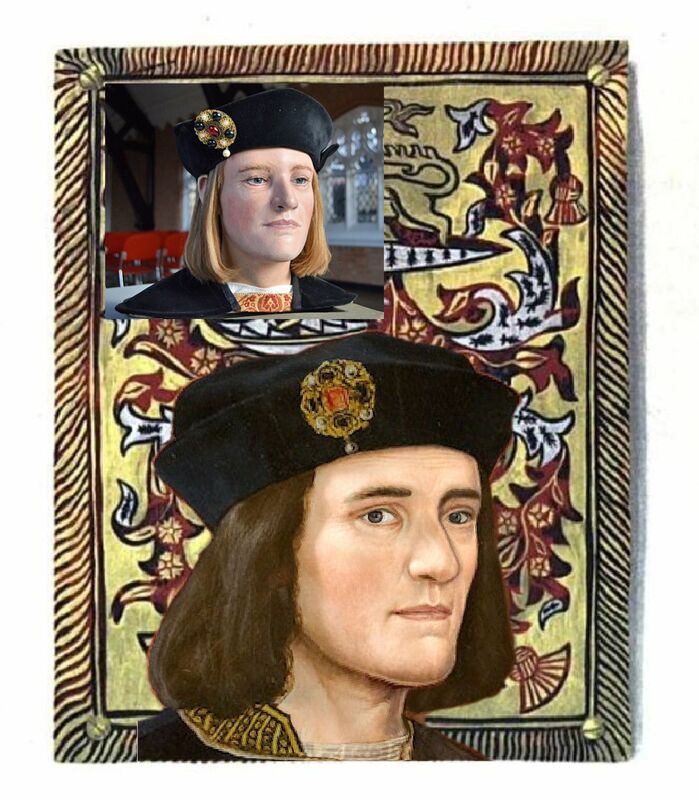 Once again, it would behoove the denialists to do some primary-source research before they attempt to frame an argument in support of any of their predetermined, prejudicial judgments regarding Richard III. [ii] A collegiate chapel is a church where the Divine Office is said daily by a college of canons, or a non-monastic or secular community of clergy that’s organized as a self-governing corporate body. This body is presided over by a dean or provost. It’s similar to a cathedral, but it’s not the seat of a bishop and it has no responsibilities over a diocese. They were supported by lands held by the church or tithe income. They also provided space for congregational worship and offices for their clerics. Blond or dark? The decoding of Richard’s DNA…. Was Richard blond? Or was he dark-haired? Professor Hofreiter explains in the article below. After we left Moyse’s Hall Museum, we wanted to visit St Mary’s Church, as we knew there was a wedding going on at the Cathedral. However, when we arrived, the church was closed a s a service was going on for the WI. By this time the bells of the Cathedral were ringing indicating the wedding was over and so we trooped back there for a while. 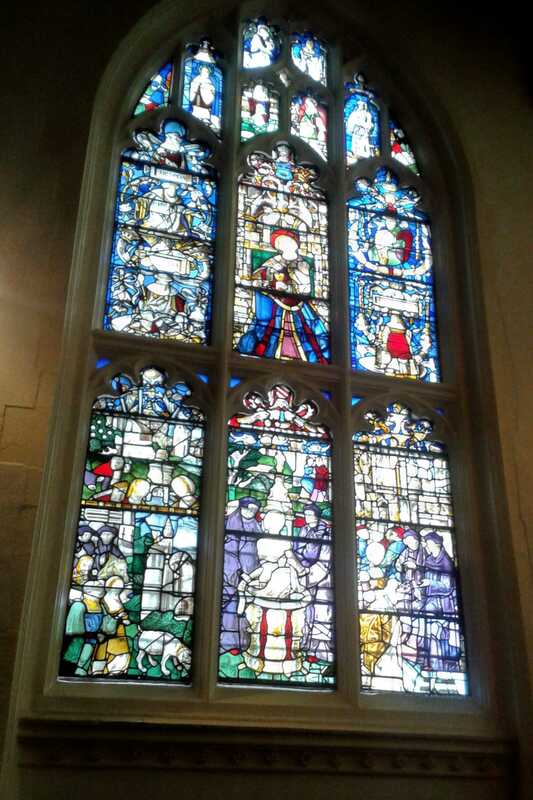 The stained glass windows were impressive as well as the font which is gigantic, and we found a tapestry depicting King Henry VI visiting the shrine of St Edmund in 1433. I was pleased to see that the floral decorations included white roses. The cathedral was previously St James Church and became a Cathedral in 1914. We then tried out luck again at St Mary’s and this time managed to get in and see the tomb of Mary Tudor (she of the lock of hair). It is right at the far left part of the church, but is clearly marked. 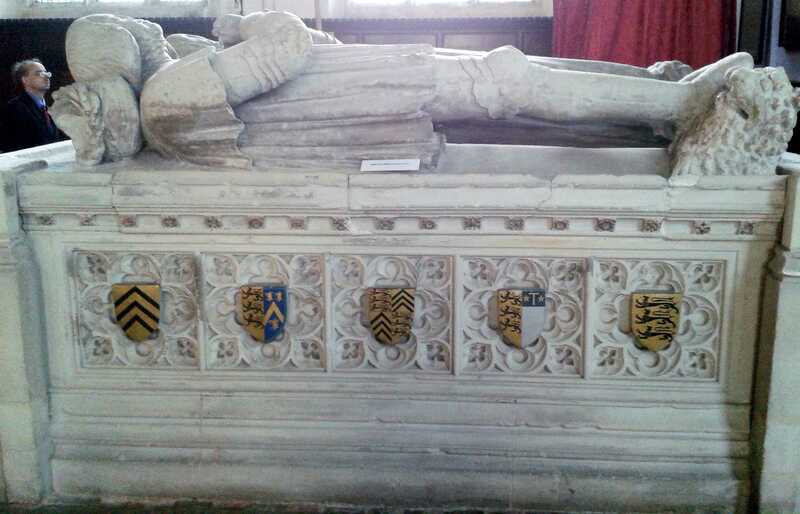 In addition there was the tomb of one William Carewe who fought at the Battle of Stoke and was subsequently knighted by Henry VII. All in all a thoroughly good time was had and we learned a lot. 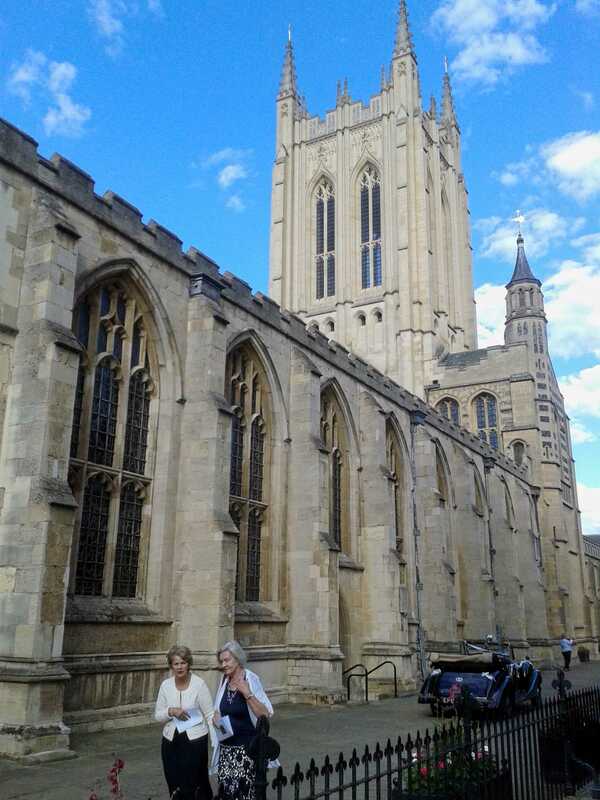 The Mid-Anglia branch of the Richard III Society descended on Bury St Edmunds on Saturday the 12th September. We were lucky enough to have another brilliantly sunny day with no sign of rain and met up in Starbuck’s just across from our first and main objective, the Moyse’s Hall Museum. 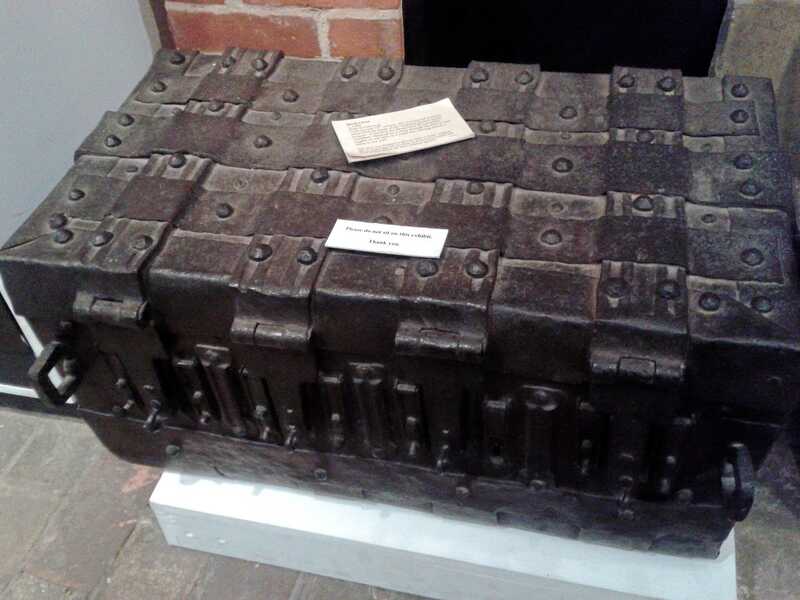 This museum is housed in an ancient building dating from the time of the Town’s namesake, Edmund, who was king of England in the ninth century. Our knowledgeable guide, Alex, enthralled us with his tales of years gone by, beginning with Edmund himself. The ‘Bury’ in the town’s name has nothing to do with burying Edmund, but rather is another form of ‘burgh’, meaning ‘town’. 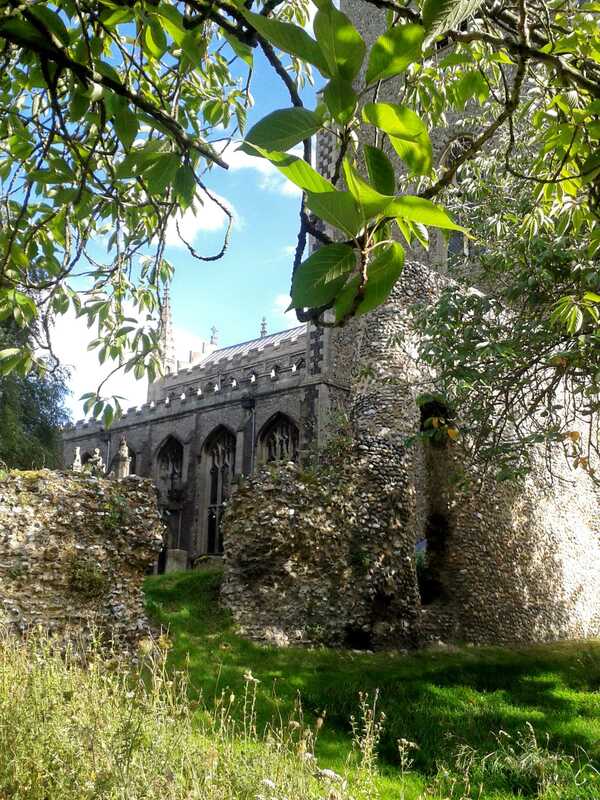 The town began as a shrine to St Edmund, who in 869/70 was captured and killed by the Danish Vikings who were in the habit of invading England at that time. They tied him to a tree and shot him with arrows before beheading him. When his men arrived they found his body, but no sign of his head. As they were about to give up the search, they heard a voice calling: “Hic! Hic!” the Latin for “Here! Here!” and, following it, they found a wolf keeping guard on Edmund’s lost head. He was made a saint and his resting place became a shrine. 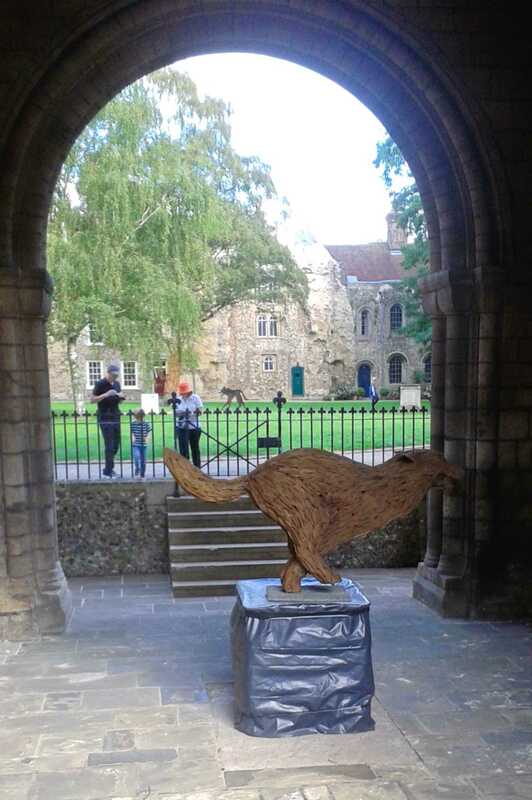 Thus, also, began the wolf legend and it is still referred to today since, for the weekend, they had laid a ‘Wolf Trail’ around the town for visitors to follow. There is a skull of a wolf or dog found in the area, which is one of many found there and this adds to the legend. St Edmund’s shrine grew into an abbey, and the town grew up around it since the abbey provided employment, spiritual aid, etc. The abbey owned a lot of land thereabouts and the town was very important. 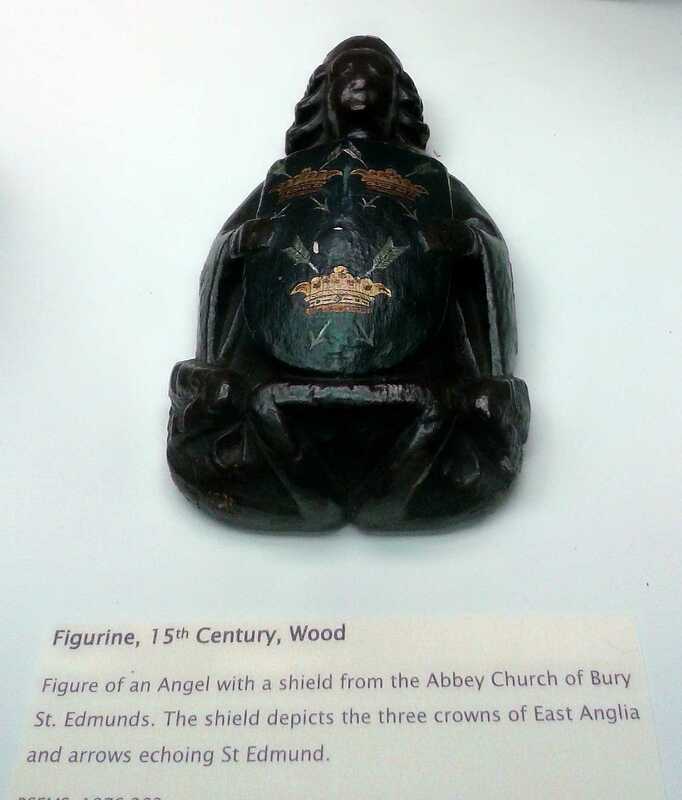 This was probably partly because St Edmund was then England’s patron saint. In fact it was so important that, on a mediaeval European map of the known world the only two places shown in England were London and Bury St Edmunds. Some of the architecture in the building itself even dates back that far and there are other sections of the building which have architecture from differing periods, providing a great tour through the ages. One of the highlights of the tour was the ‘Crime’ section featuring a gibbet, a metal human-shaped cage in which criminals were displayed as a deterrent to others. However, apparently, the punishment wasn’t that you were placed in there until you died of thirst because it was after you were executed (usually by hanging), that your body would be displayed there. The extra punishment was the knowledge that your body would be dissected afterwards by surgeons or your bones scattered. This meant that you would be unable to go to heaven. Moyse’s Hall Museum is unique in that it possesses a photo of the skeleton (still in the gibbet) of a man executed for murdering his sister – the said photo is displayed beside the very same gibbet! Further on there is an exhibit of various objects associated with witchcraft, such as mummified cats (probably locked up alive within a wall to so its spirit would guard the house), shoes (used the same way), ‘voodoo’ type dolls and various other witchy paraphernalia. Next came the notorious Red Barn murder. William Corder was accused of murdering his lover, Maria Marten, having been found out because her stepmother had a dream which showed where Maria was buried – in the Red Barn. The defendant said she had committed suicide, but the jury didn’t believe him and he was hanged. He was so hated that he was taken to his execution by an inside route to avoid the baying crowds. But the story didn’t end there; several death masks were made afterwards, one on display in the museum, as well as a death mask used for the study of his skull by phrenologists. His skin was tanned and used to bind a book (an account of the murder), which is one of the exhibits. Our guide Alex, did not believe that all was as it seemed and felt Corder had been harshly judged. 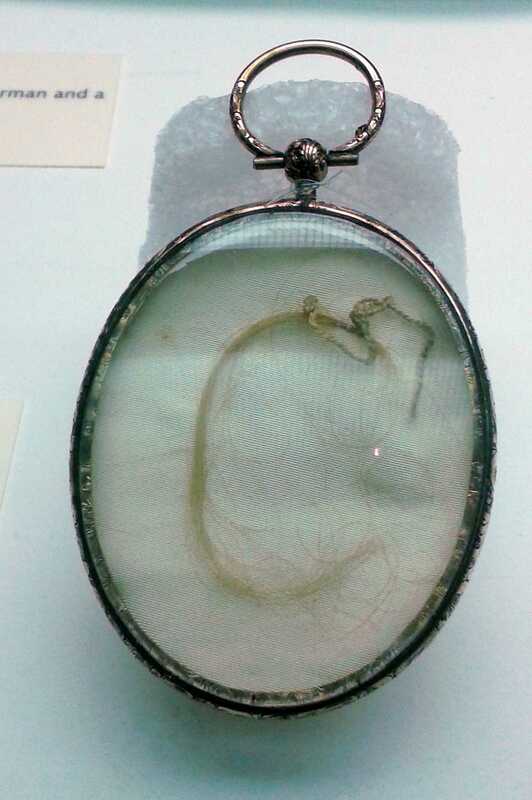 There was an exhibit on trade, and following on from that was the most interesting for a Ricardian, a lock of hair belonging to Mary Tudor, daughter of Henry VII and Elizabeth of York and sister to Henry VIII. She was the niece of the ‘princes’ and therefore Richard’s great niece. 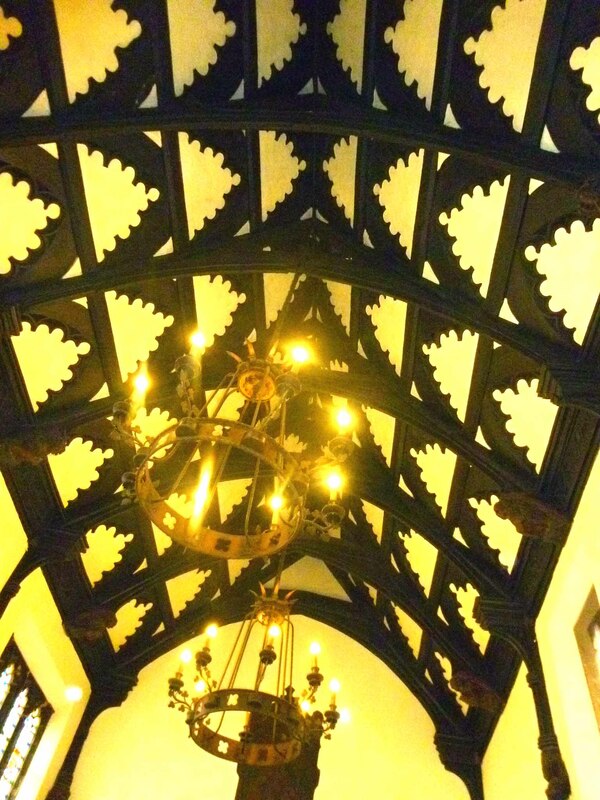 There were also some 15th century wood carvings and a beautiful old fifteenth century deed chest. Up the stairs, which was devoted to one of the largest collections of Mary Beale paintings, would be found a room dedicated to the Suffolk Regiment through the years, with life-size, realistic mannequins of soldiers in different style uniforms, depending on the time and whether it was preferable to stand out from the crowd or blend in. They wore red when they wanted to stand out and be recognised by their own fellow soldiers, but when the sniper became common that was understandably changed and camouflage became the norm.. There was an exhibit of clothing and more paintings, and finally a room full of clocks and watches. Some of these were very intricate and exquisitely beautiful, and many were very rare examples. Alex told us that there had been a theft of some of them from the place where they were previously kept and that they would have no doubt been stolen to order by a collector as all the dealers would have recognised them for what they were. It is a huge place and has many interesting exhibits from the time of Edmund himself right up until the present day; over 1000 years of history. We were there for one and half hours and the time flew by as our guide, Alex, was so interesting. 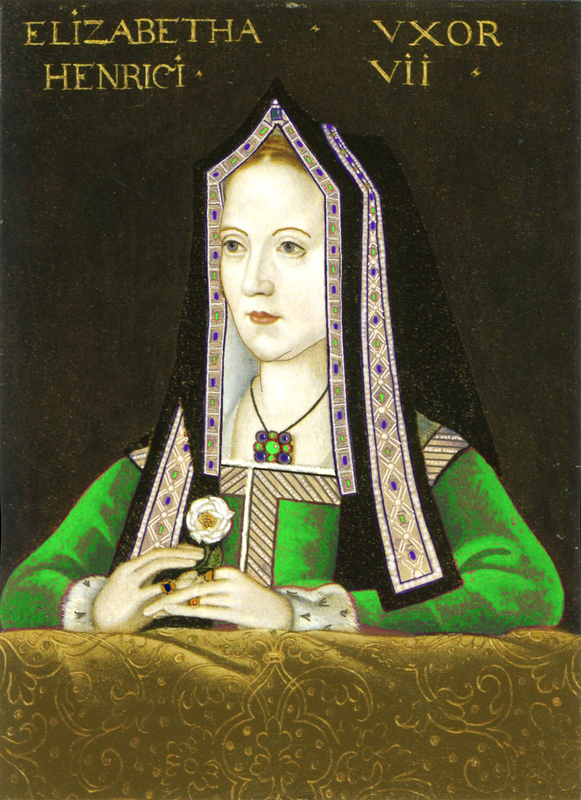 Henry Tudor….only Bess of York’s consort….? The link below constitutes one in the eye for Henry Tudor (guess which eye!) The demeaning whispers he always feared and hated…that he was Elizabeth of York’s consort, not she his, are still circulating all these centuries later. Ha, suddenly this dull, wet, windy late-September morning isn’t so bad after all. It might be worth a visit to Westminster Abbey, just for the sweet sound of him revolving in his wife’s magnificent surroundings! 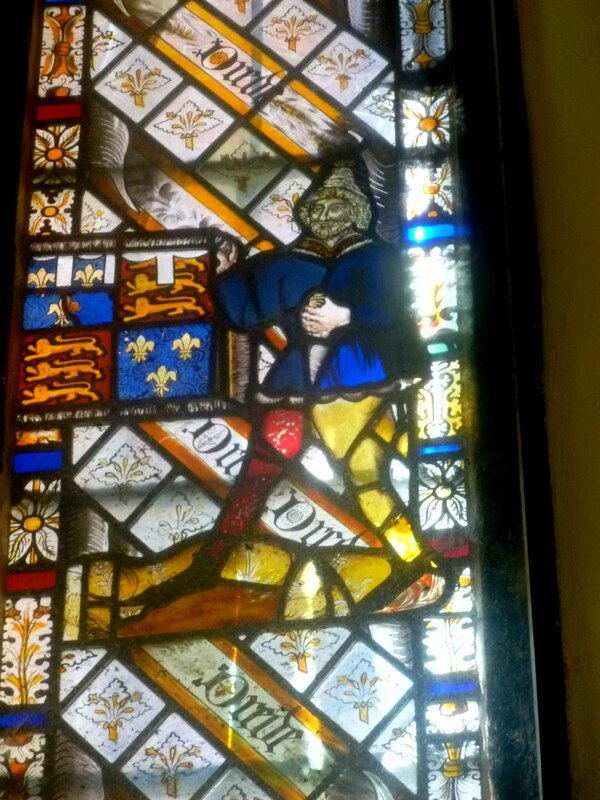 medieval glass ofbear holding an axe! One of the most interesting houses is Salisbury is Halle’s Hall, which now serves as the local cinema, possibly the only cinema in the country that is over 500 years old. The Hall is a late medieval house begun by John Halle in about 1470 and completed in 1483, several years after Halle’s death, when his son was in residence. 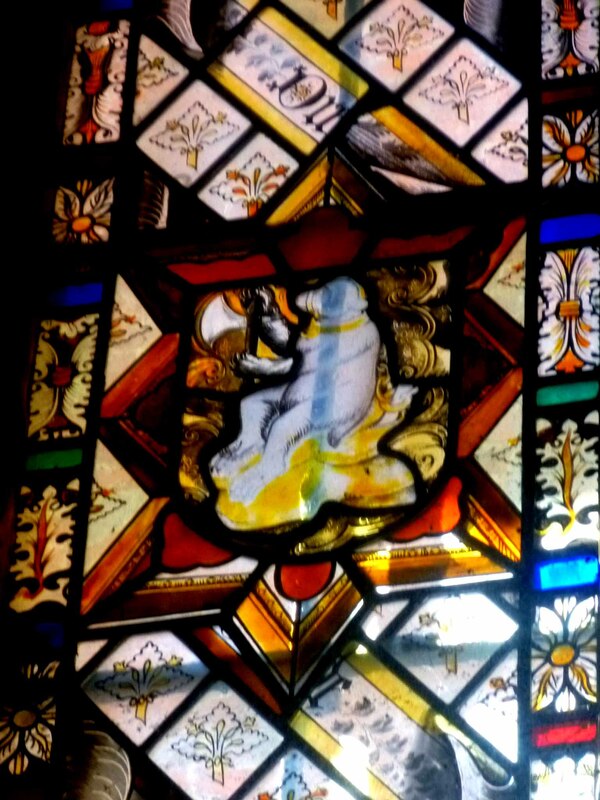 The house retains many original features on both exterior and interior, including fine examples of original stained glass, including one, presumed to be Halle himself, bearing the banner with the royal arms of the Prince of Wales. John Halle was the owner of the Hall, and he was a well-known figure in 15th c Salisbury—not only as a wealthy wool merchant, but as four time mayor and 4 time mp in parliament. 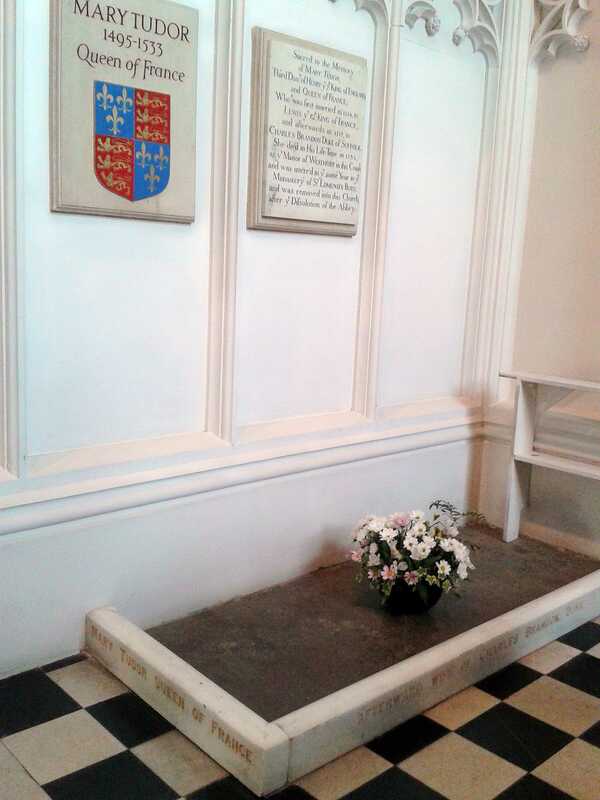 Halle seemed a rather irascible character and managed to embroil himself in a fight with another merchant, William Swayne, over land in St Thomas’s churchyard for a chantry. The fight became so bitter between the merchants that Edward IV summoned Halle to appear before him in London. Halle showed up anything but contrite, and was apparently both forceful and insolent. ‘Shewing himself of a right cedicious hasty wilful and fully unwilly disposicon’ was what was written of his behaviour at the time. Annoyed by the merchant’s insolence and stubbornness, Edward decided that perhaps a little spell in the Tower might cool John Halle’s ire. Salisbury was asked to elect another mayor in his place, but most of the people insisted they liked Halle—mainly because he stood up to the Bishop, Richard Beauchamp, who was not terribly popular. So upon his release from his short sojourn in the Tower, Halle was reinstated as Mayor. He evidently had no love of Edward IV. 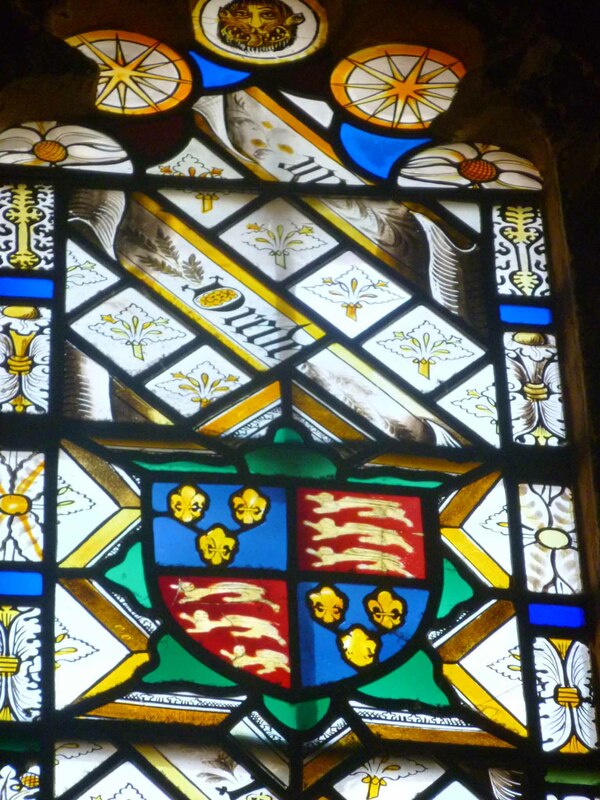 In 1470, he was given 40 marks to raise 40 men at arms for the Earl of Warwick, with the aim of restoring Henry VI. 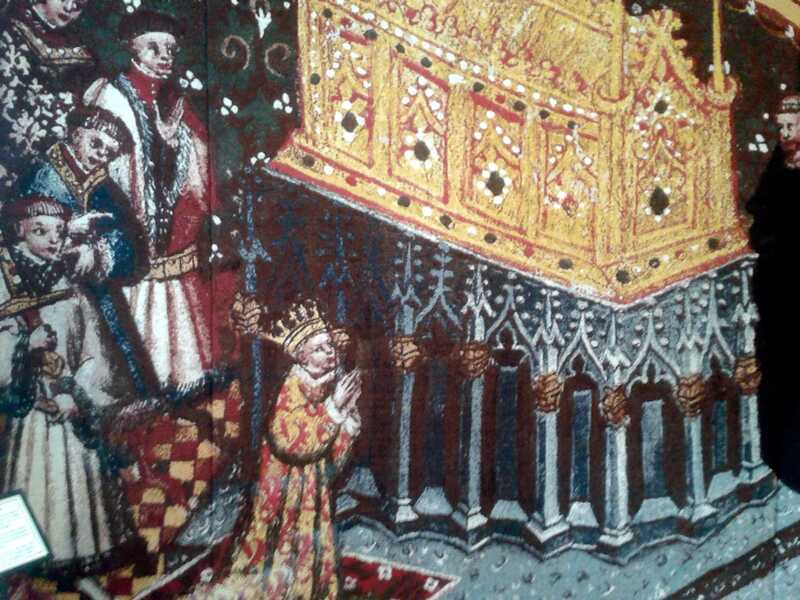 However, after Edward’s decisive victories at Barnet and Tewkesbury, he seemed to become reconciled to the King, and little more was heard from him until his death in 1479. His son, William, who inherited the Hall, had perhaps something of his father’s rebellious temperament. He joined Buckingham’s rebellion against Richard III in 1483. He was attainted for his actions, but the attainder was reversed in 1485 and afterwards he became an MP for Salisbury. Of John Halle’s other children, one daughter, Christyan,, married Sir Thomas Hungerford, showing the family was ‘moving up in the world’, and also, perhaps, their Lancastrian leanings.